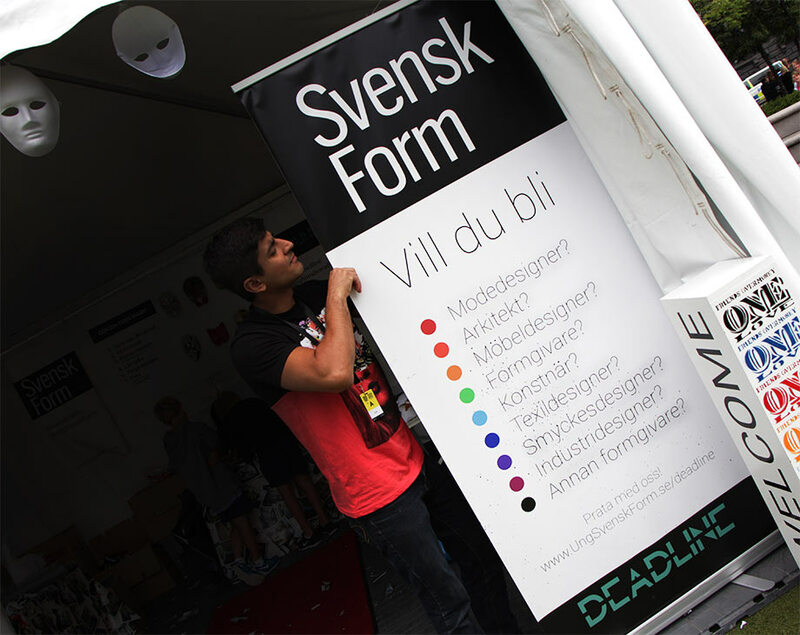 In 2013 Svensk Form (The Swedish society of crafts and design) approached Moses and asked if he could be their spokesman representing Ung Svensk Form towards high schools in Sweden. 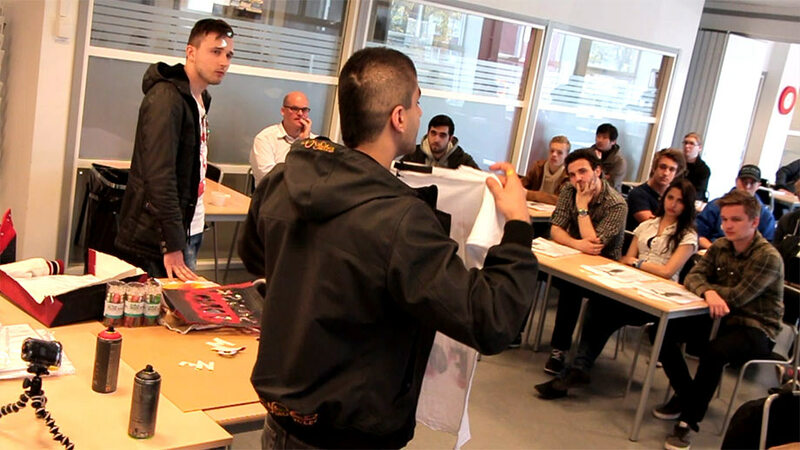 The mission was to inspire young students to apply for the art, design and film universities in Sweden. 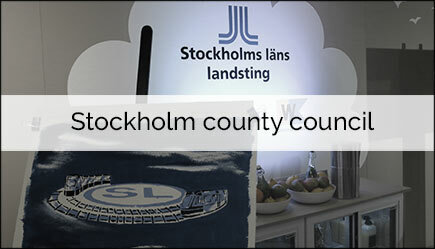 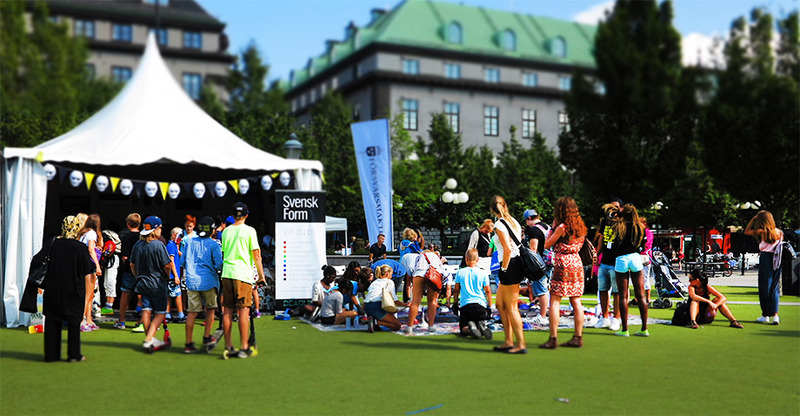 The project goes under the name Deadline which refers to the deadline for applying to the universities in Sweden. 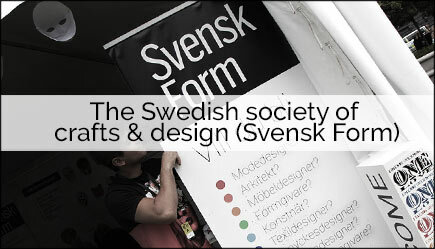 The Swedish society of crafts and design, Svensk Form was founded in 1844. 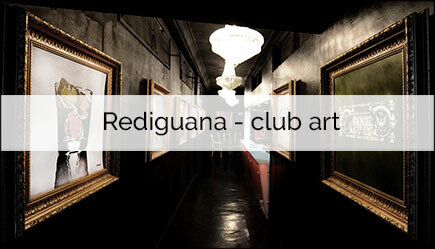 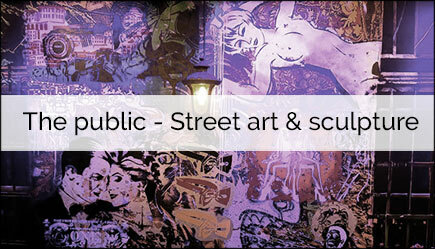 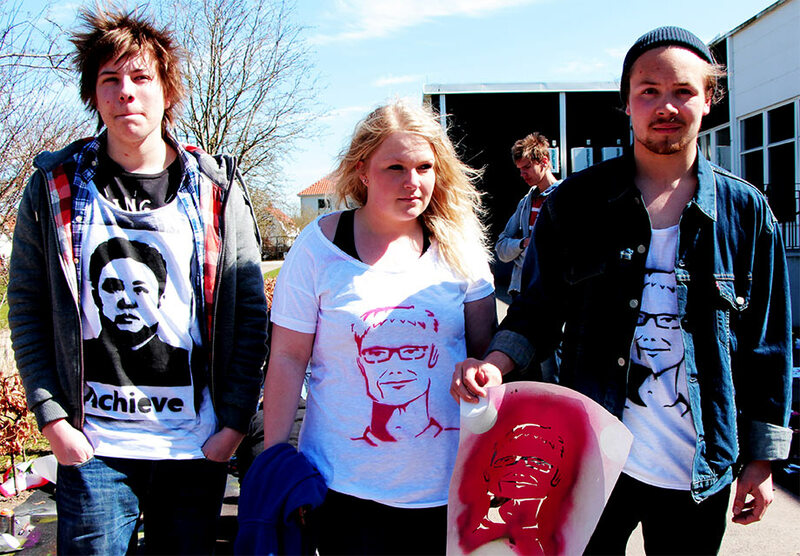 They are the highest art institute in Sweden working directly under the government. 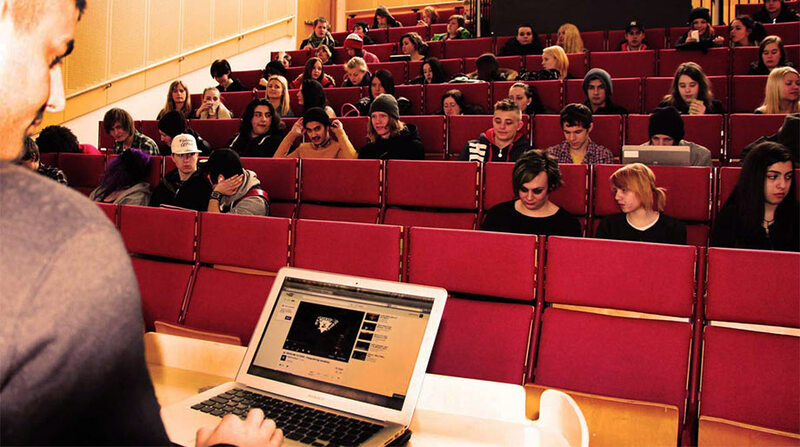 The society founded Sweden’s biggest art university, Konstfack and has the responsibility to promote Swedish design at home and abroad, on a university level to a business level. 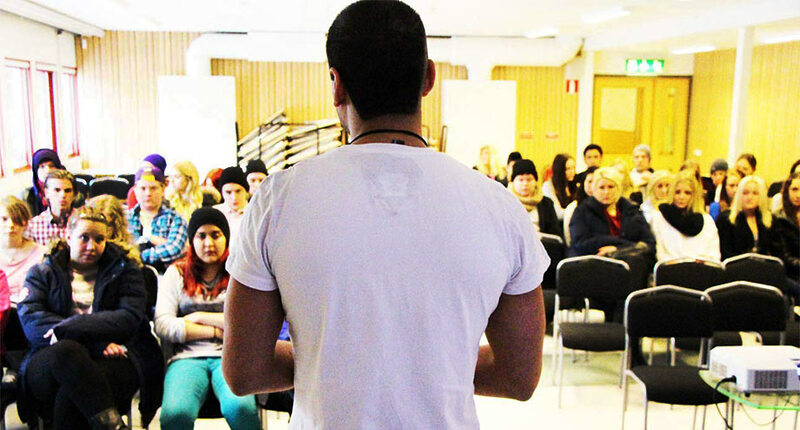 During 2013-2014 Moses arranged over 30 lectures and workshops in high schools and festivals all around in Sweden promoting Sweden’s art and design universities. 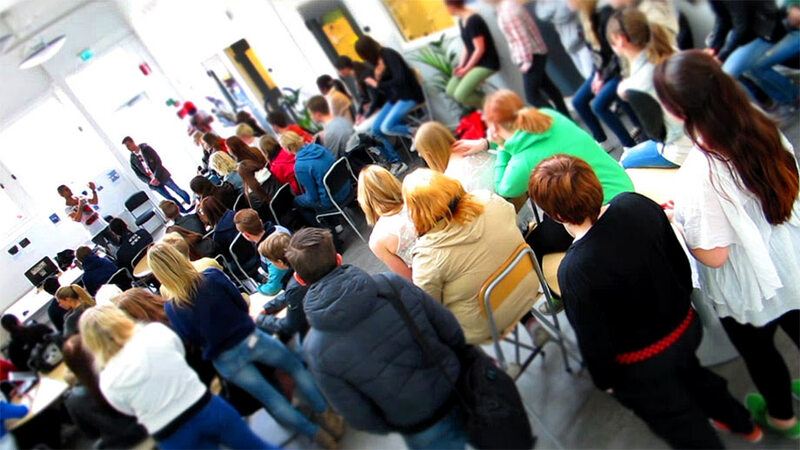 The inspiration lectures and workshops made by Moses was well received and he reached over 3 000 students with the message. 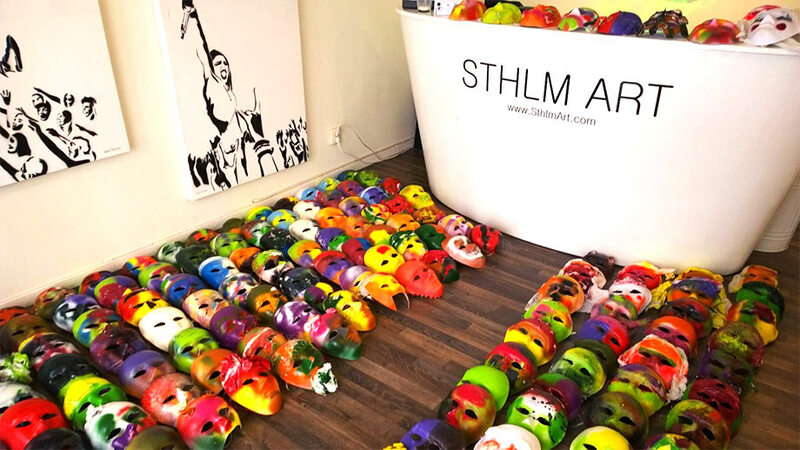 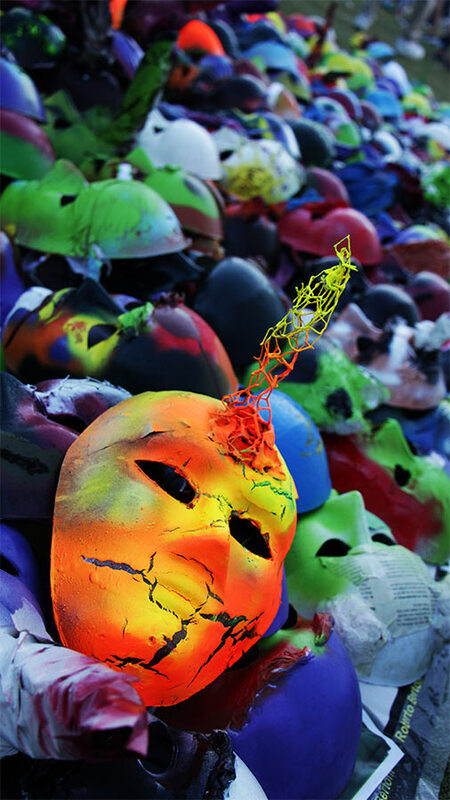 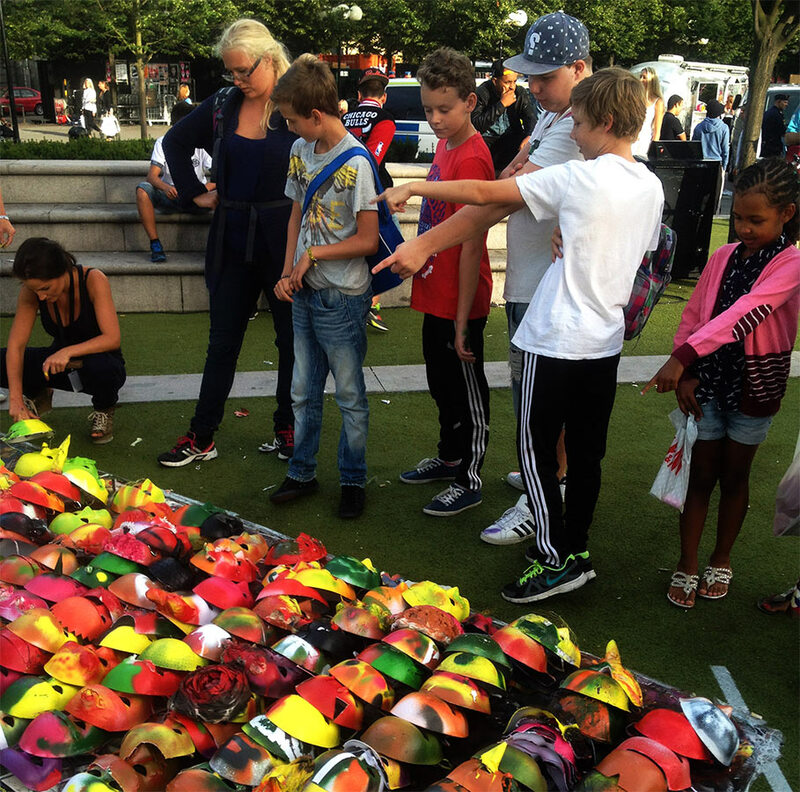 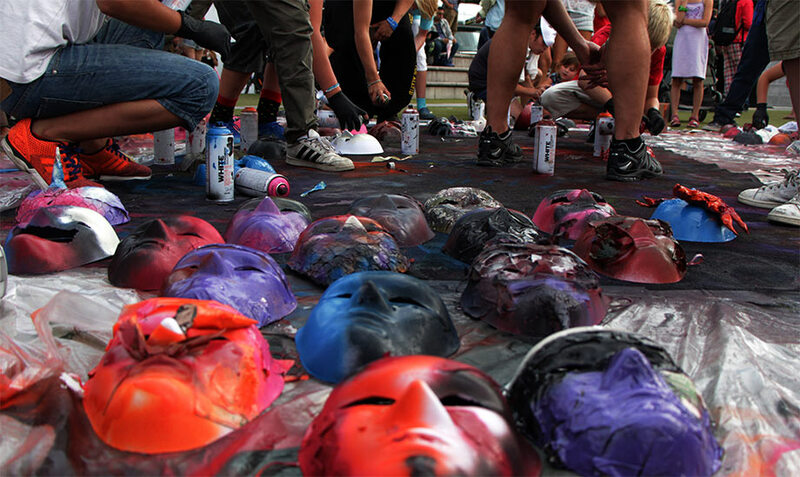 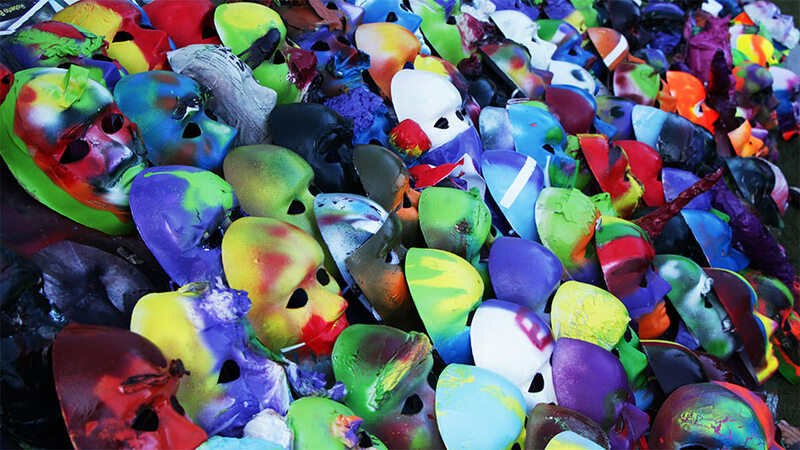 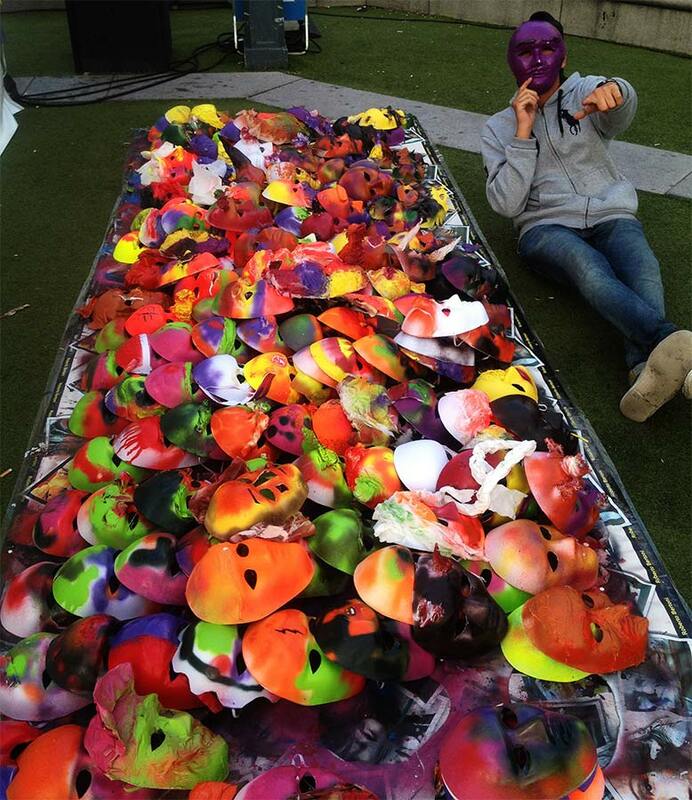 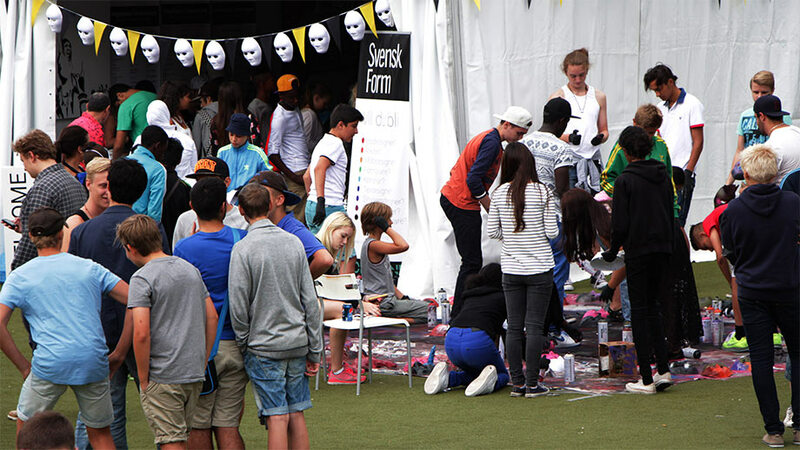 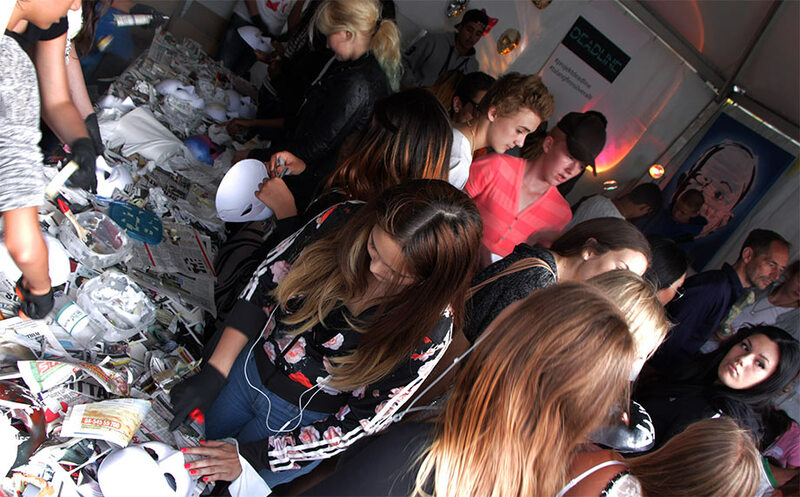 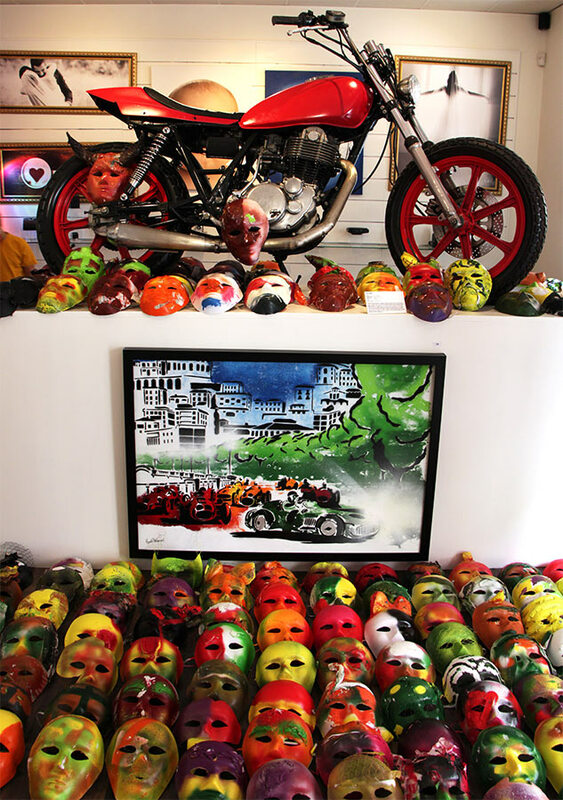 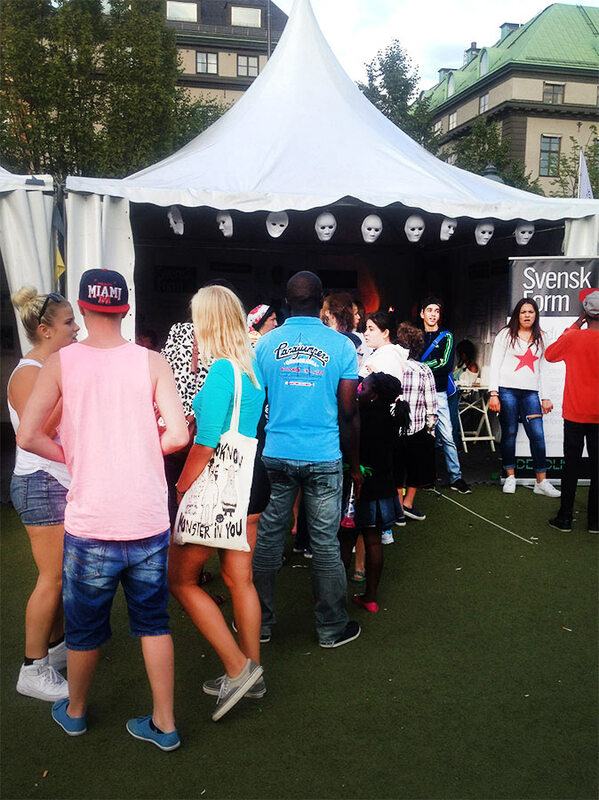 Youngsters 13-19 years old had an opportunity to create their own masks during Sweden’s biggest festival “We are Sthlm” with 180 000 visitors. 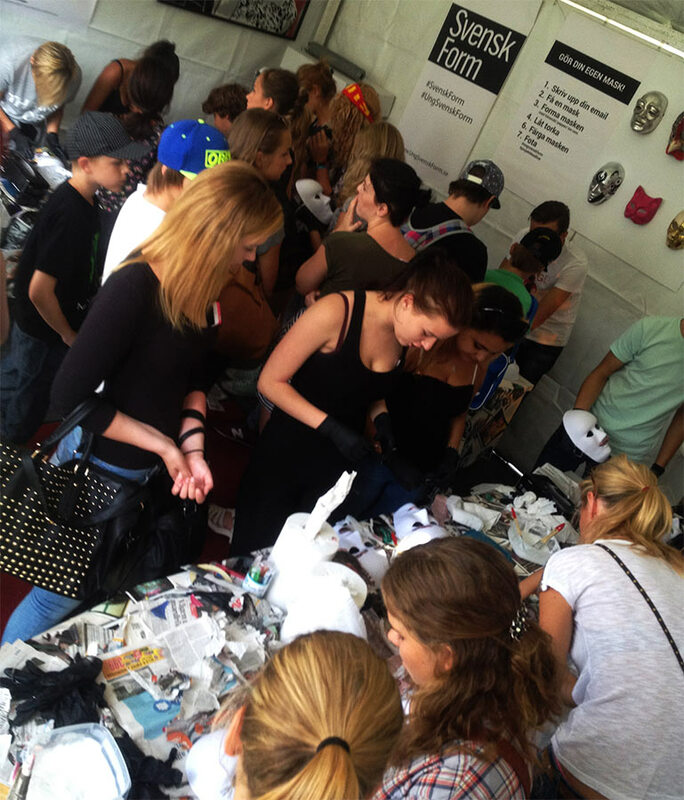 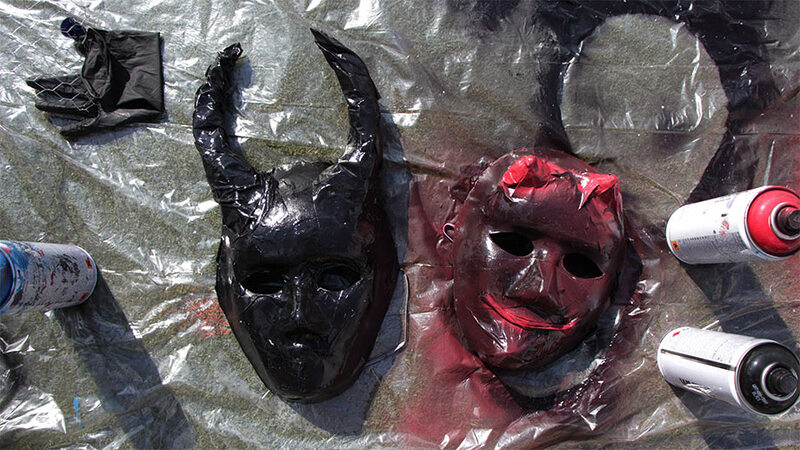 The workshop was open for one week and during this time the visitors created a new mask every 2 minutes in Svensk Form’s tent under the guidance of Moses. 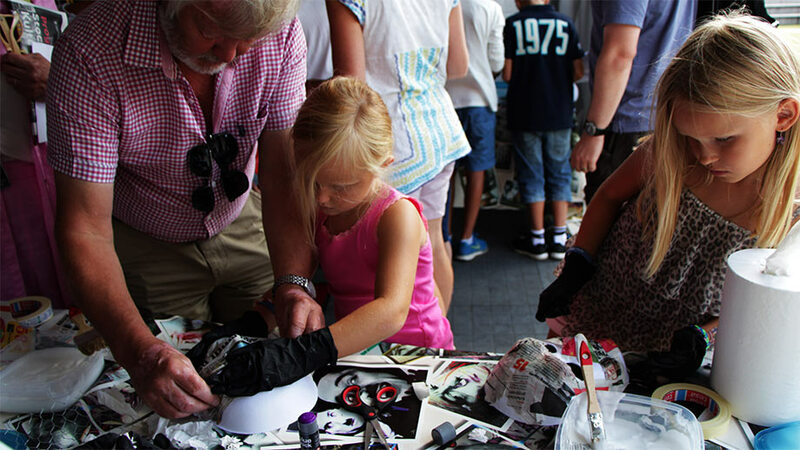 The creative workshop was the most popular activity during the festival and introduced thousands of people to the handcraft. 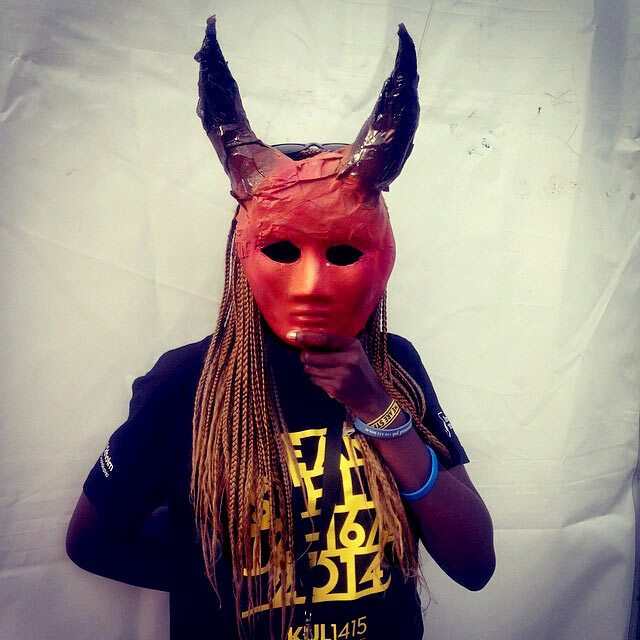 Moses talks about his journey in the fashion world and how he ended up in the film and art industry. 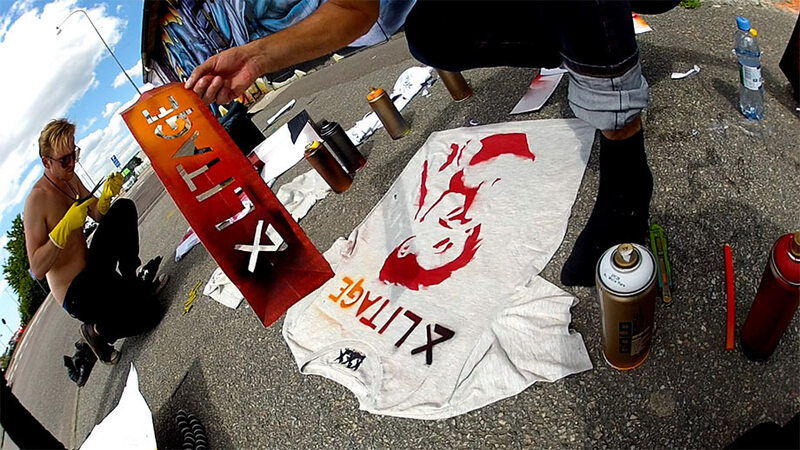 His story begins at 21 years old when he created the world’s first motorcycle jeans in collaboration with Harley-Davidson, from financing to creating the first jeans. 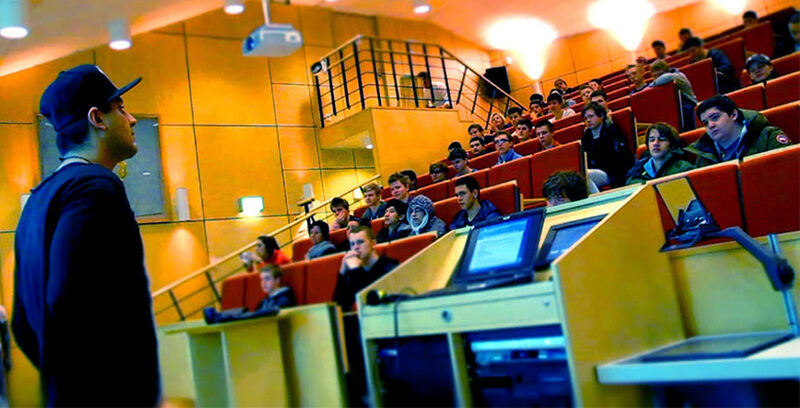 The lecture is very popular amongst the students and the teachers. 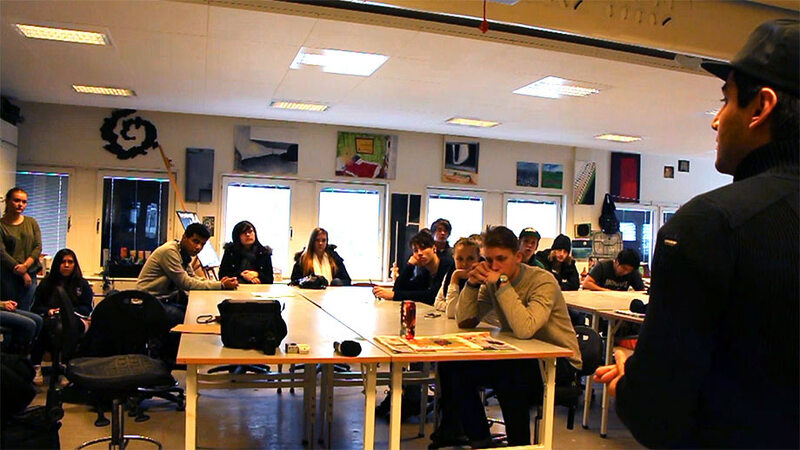 The students get to hear a real case and can ask questions about all the different stages within the creative fields. 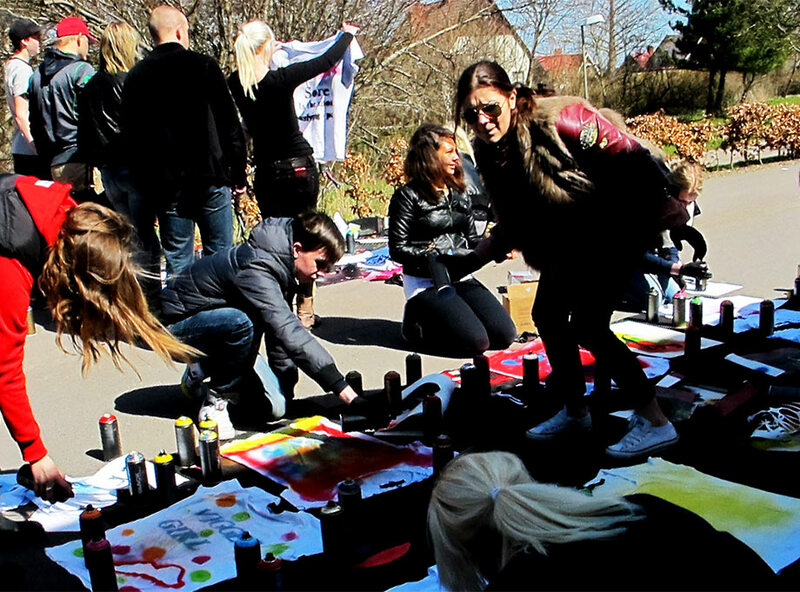 Fashion, Film and Art comes to life in a real way and Moses shows that everybody can take the same path. 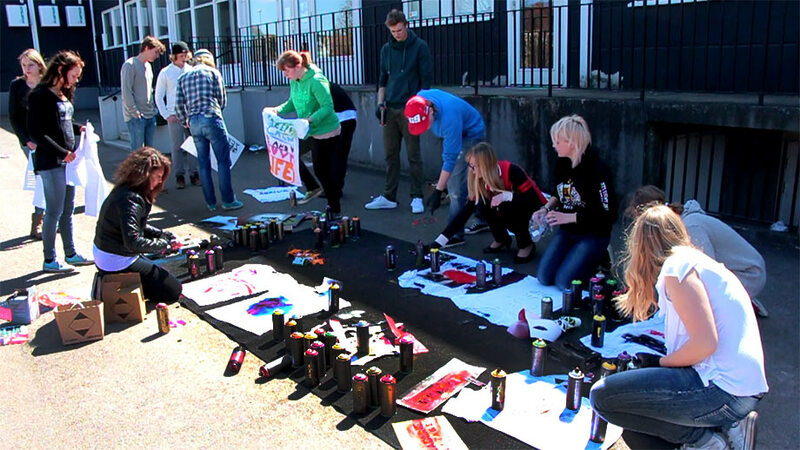 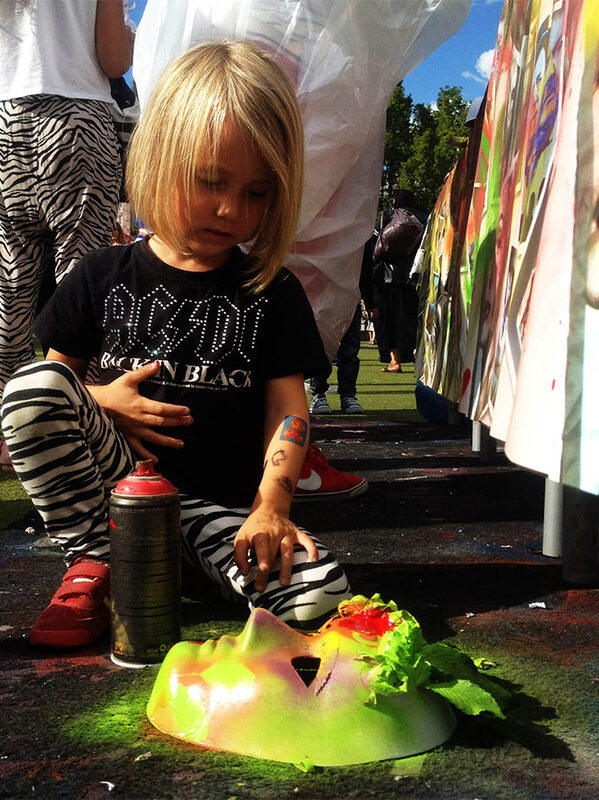 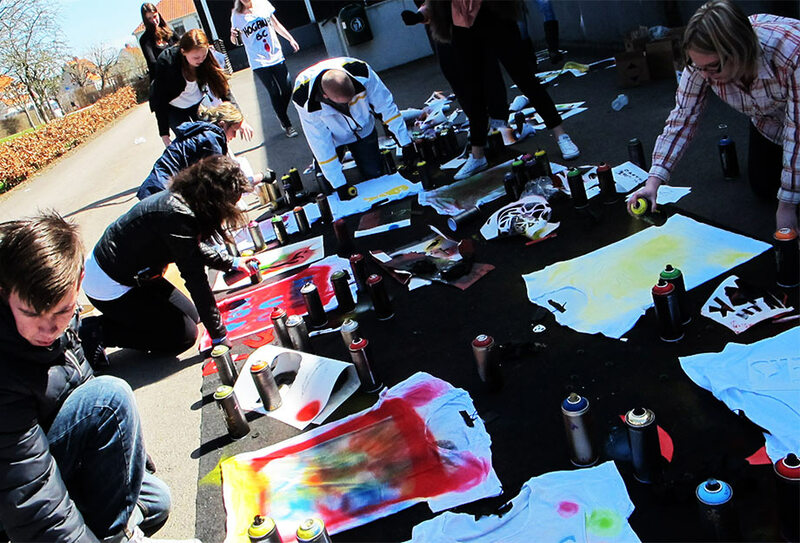 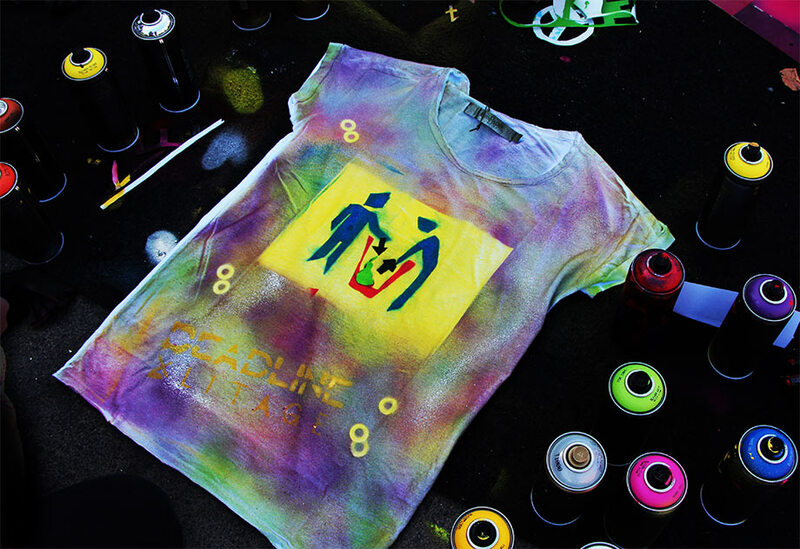 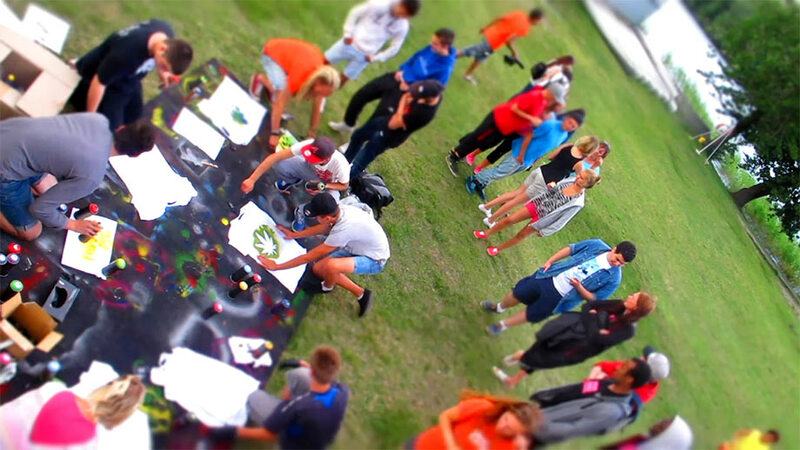 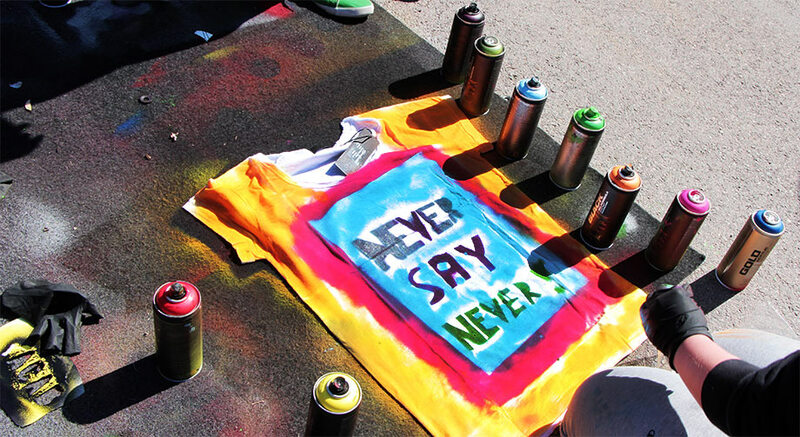 Moses arranged creative workshops for schools all around in Sweden were the students could create their own t-shirts. 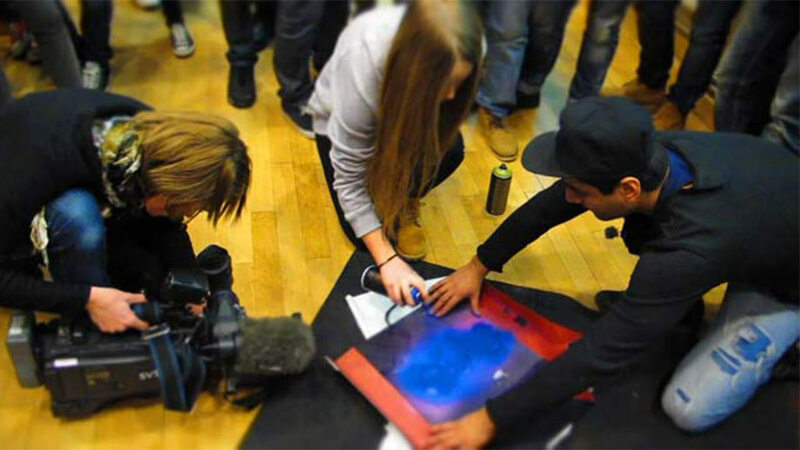 The papercut technique which Moses uses to create artwork was taught to the students so they could create their own stencils. 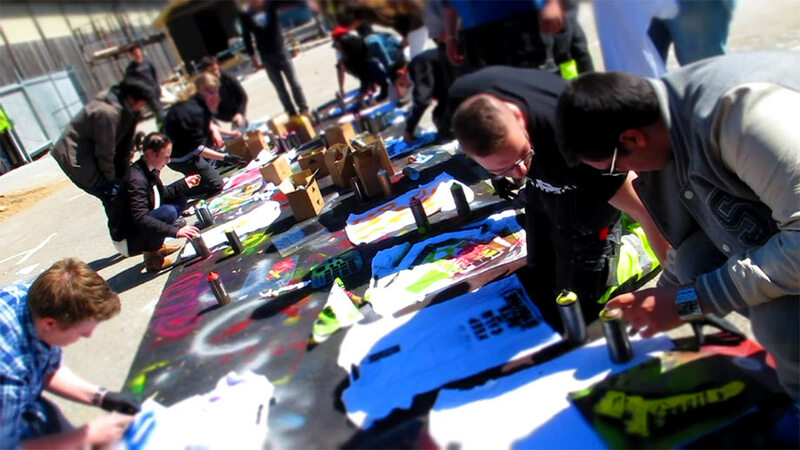 After creating the stencil the students made their own t-shirt prints, they became designers for one day.